Day one of H.H. Sheikh Mohammed Bin Rashid Al Maktoum UK Endurance Festival saw some fabulous riding conditions and 194 riders taking to the tracks in CEI1* 80km, CEIYJ1* 80km and CEIYJ2* 120km classes. The first of two days of International riding which will finish on Sunday with a day of national classes and the Pony Club Championships. 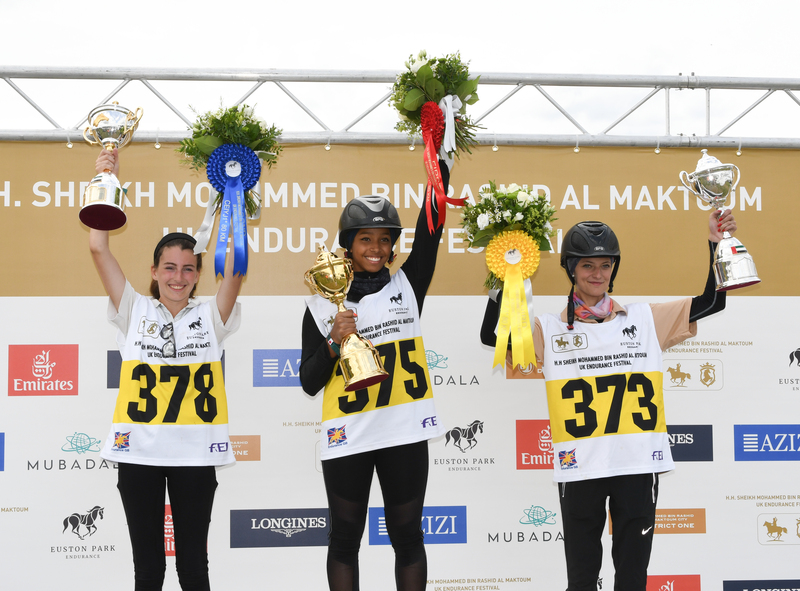 One notable British success was for Sophie Moorhouse riding Crystal Wissam in the CEIYJ1* 80km who scooped second place in both the ride and the Best Condition competition. The completion rate for today’s rides was 60% with 116 successful completions out of 194 on the start lists. The H.H. Sheikh Mohammed Bin Rashid Al Maktoum UK Endurance Festival organisers are grateful to event sponsors Emirates Airline, Longines, Azizi Developments, Mubadala and Mohammed Bin Rashid Al Maktoum City – District One for their support.